1X Master photomasks were the original products made by Compugraphics since 1970 and are still in use today. 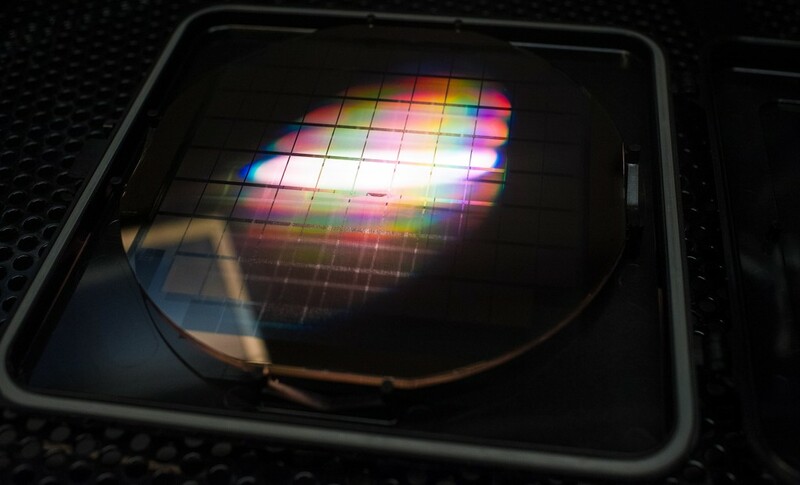 Typically, these photomasks contain the “Full Image” or “Array” of the final wafer and are exposed in a single exposure or scan. As such, the resolution is limited to around 1um-2um but, for many mature, or even some emerging technologies, this is sufficient and provides good throughput. Compugraphics possesses vast experience with all the major 1X Lithography tool providers such as EVG, Suss and many more. We offer a full range of 1X Photomasks for Multiple Applications across a variety of substrate sizes and materials. Typical sizes and materials are shown below but, we can also source other materials. Just ask us. One of the most important steps in the 1X photolithography process is mask alignment. A mask or “photomask” is a square glass plate with a patterned film on one side. The mask is aligned with the wafer, so that the pattern can be transferred onto the wafer surface. Each photomask must be aligned to the previous pattern. Once the mask has been accurately aligned with the pattern on the wafer’s surface, the photoresist is exposed through the pattern on the mask with a high intensity ultraviolet light. There are three primary exposure methods for 1X Full Wafer Lithography: Contact, Proximity, and Projection. They are shown in the figure below. Compugraphics is still producing copies from master masks first ordered over 20 years ago. The proximity exposure method is similar to contact printing except that a small gap, 10 to 25 microns wide, is maintained between the wafer and the mask during exposure. This gap minimizes (but may not eliminate) mask damage. Approximately 2- to 4-micron resolution is possible with proximity printing. Compugraphics offer a patented technology to extend the lifetime/exposure shot of 1X contact and proximity photomasks? Ask about our MPT ™ Service. Projection printing avoids mask damage entirely. An image of the patterns on the mask is projected onto the resist-coated wafer, which is many centimeters away. In order to achieve high resolution, only a small portion of the mask is imaged. This small image field is scanned or stepped over the surface of the wafer. Projection masks often use pellicles. Once the mask is qualified as defect free, the array is protected by a pellicle, making it free of any added defects for the lifetime of the mask unless damaged due to its fragile nature.